Sunglasses are too often considered a frivolous investment, mired by diva associations dating back to the golden age of film. This may apply if you’re on your 11th pair (and why not? ), but for the majority of us, they’re a functional accessory, protecting our sight from harmful UV rays, from impending crow’s feet around the eyes and allowing us to drive, walk, ski – you name it. They’re a wardrobe staple and there are plenty of shapes and styles to choose from: aviators, round lenses, cat-eyes, oversized, oval, rectangular and, now, lighter lenses for more eye contact. A thicker model of the round-shaped sunglasses, this Leonard pair by Illesteva softens the impact of the style and can be worn by almost any shape face with a wider frame across the face. So, for those shying away from hipster readings of the thin, round metal frames, these are the perfect solution; muscling in on the trend without going the full hog and suffering an identity crisis. 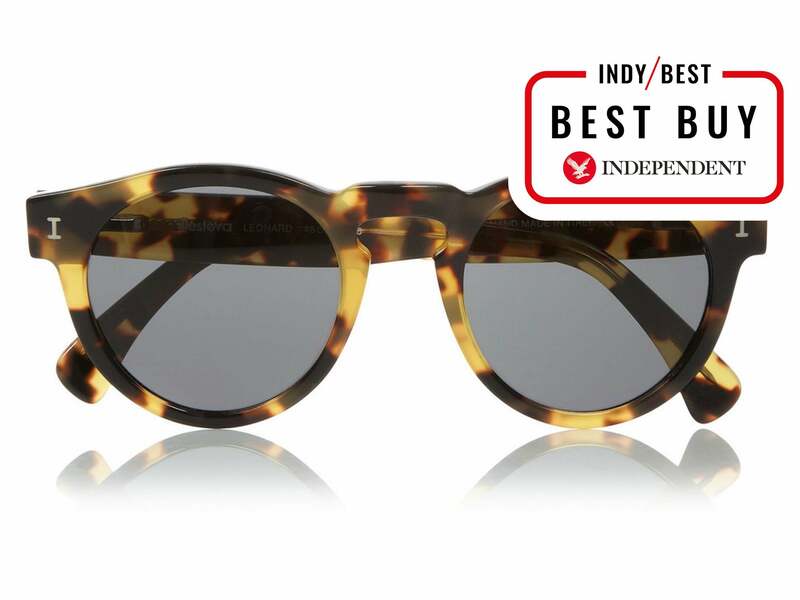 Moreover, the black lenses contrast well against the tortoiseshell acetate frame and with the smart, brand-stamped case to boot, this is a pair of sunglasses that warrant some love. Handmade in family-run factories in Italy and France, then designed in New York for a modern spin on classic materials, the result is a quality and style that transcends generations and suits most face shapes. Cat-eye shapes work well on oval or square faces. Their upswept outer edges create the illusion of higher cheekbones. 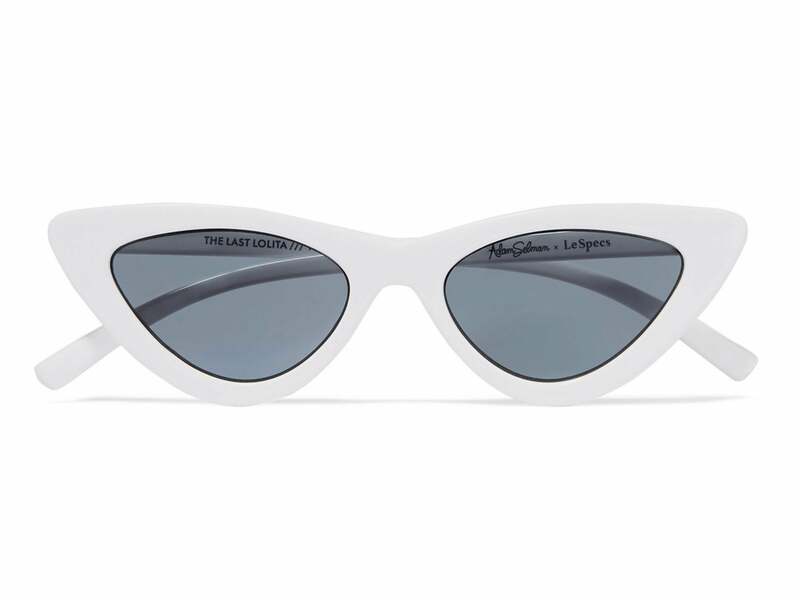 This pair by Le Specs, created in collaboration with Adam Selman, is futurism-inspired and not an accessory for the crowd-blenders. The brand was founded in 1979, inspired by the carefree and stylish set roaming the shores of Sydney. It is always ahead in terms of style and while its models may be “eccentric”, they stand the test of time. This pair of cat eyes livens up a simple outfit, or it can add a playful edge to a formal look. The streamlined frame is available in blue lenses with a silver, clear acetate frame, as well as a mother of pearl finish. As with any quality pair of sunglasses, these come with a beautifully presented hard case and cleaning cloth. 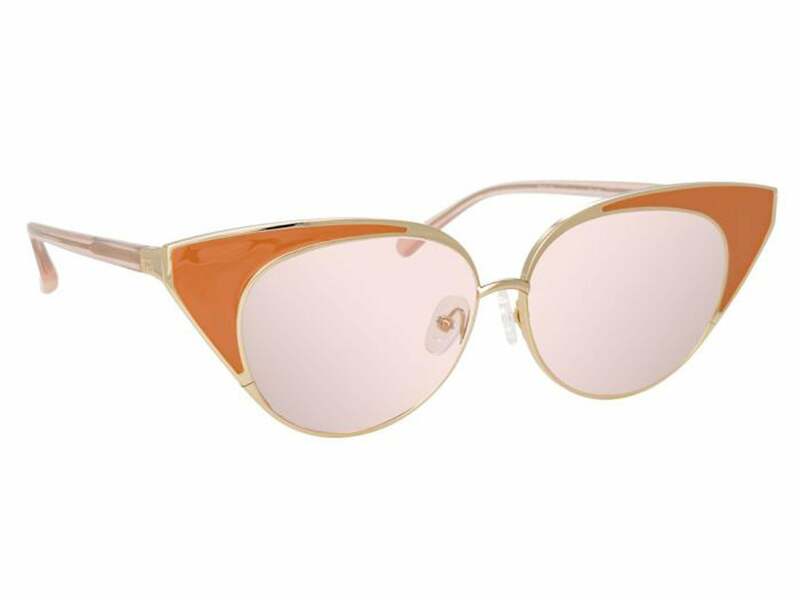 These Linda Farrow X N21 slim cat-eye silhouette sunglasses add a cool, contemporary edge to the “old-world-glamour” cat-eye style, with light gold stainless steel corners. 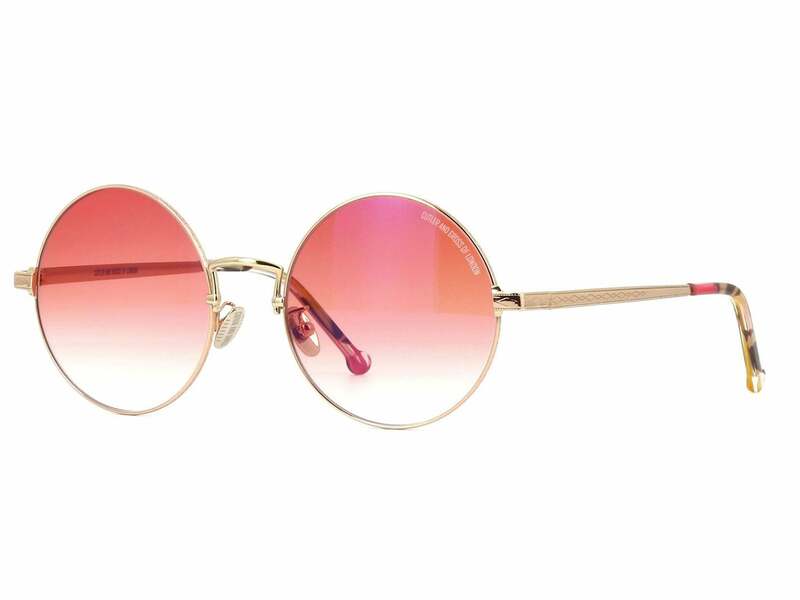 The solid pink lenses inject a modern look into a yesteryear model, although they are light enough to be used for “fashion purposes” only (your eyes are visible through them). An adjustable nose pad guarantees comfort while the N21 logo is discreetly detailed on the black acetate tapered temples, typifying the rise of more “niche” brands in the sunglasses market. Linda Farrow is a reliable brand for those after a “glamorous” but timeless look, her signature being the “oversized” sunglasses. 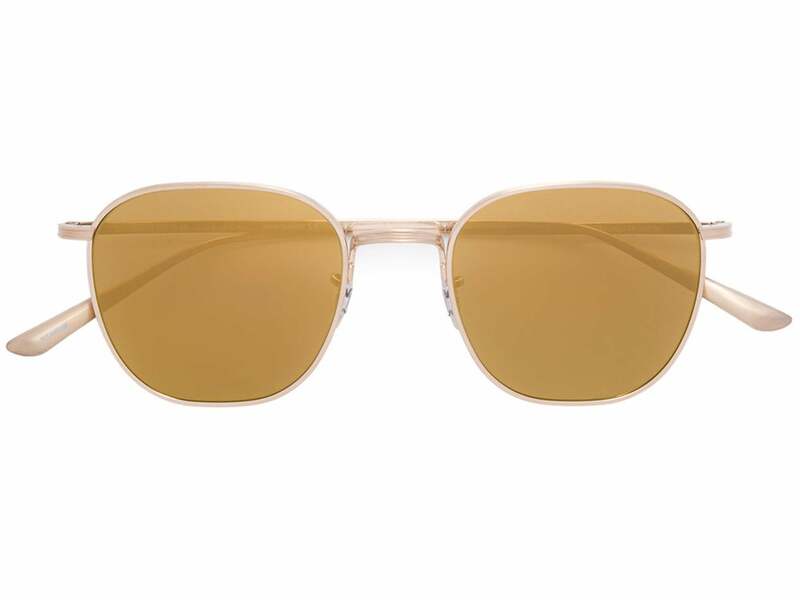 These yellow round-frame sunglasses from Cutler & Gross are unisex, in a great way. The colour and style together infer a sepia, trendy, 20th-century affinity, a trademark of the label. They ooze pared-back cool and complement a dressed-down look as effectively as they take the edge off a sharper outfit. The intricate detail on the metal frames is a potent reminder that these are a luxury product. The round, tinted lens works best on those with an angular, square or oval face. Based in Knightsbridge, Cutler & Gross has been going for 30 years and maintains a loyal following from the design-inclined. The brand’s round frames with tinted lenses are popular choices for consumers but it offers a wide range of styles and frame materials for people to choose from. An addition to The Row collaboration with Oliver Peoples, Board Meeting 2 typifies the clean, modern aesthetic of the brand’s home in New York. The squared titanium frame, engraved with lines along the exposed metal adds gentle detail but it’s the photochromic glass lenses that bring the contrast and impact. These sunglasses wake up a plain black outfit but the simplicity of the design allows them to be paired with almost anything, without looking OTT. These are worth trying on in store to ensure your eyebrows don’t poke awkwardly above the top of the frame. If they are arched in line with the frame or far higher than it, then they’re perfect. The LA brand is known for their taste-maker accolades, leading the sunglasses trends but simultaneously creating design-led specs that offer a plethora of choice on frame, lens and style.